I am super excited to have Stacy here today! I am lucky enough to know her in real life and she is darling! She is one of those people that I just clicked with off the bat – I love her! Hi! 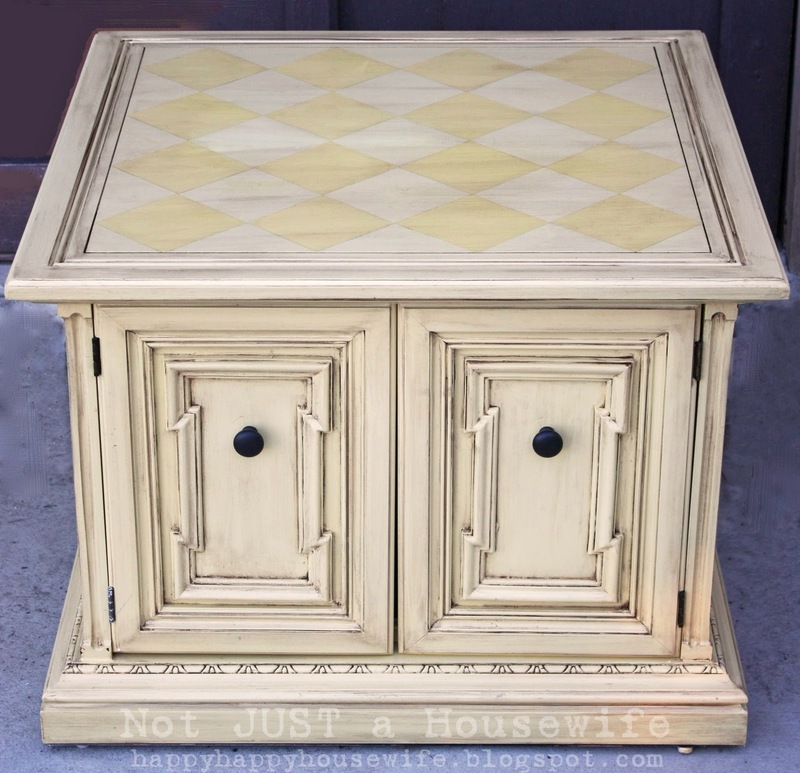 I'm Stacy from Not JUST A Housewife and I am so happy to be a guest here on Every Creative Endeavor. Let me tell you a little about Amanda. . . I met her at the blog conference Creative Estates. I posted on FB that I needed a roommate and she offered to share a room with me. She is darling, tons of fun, and super talented. So thanks for having me Amanda!!! 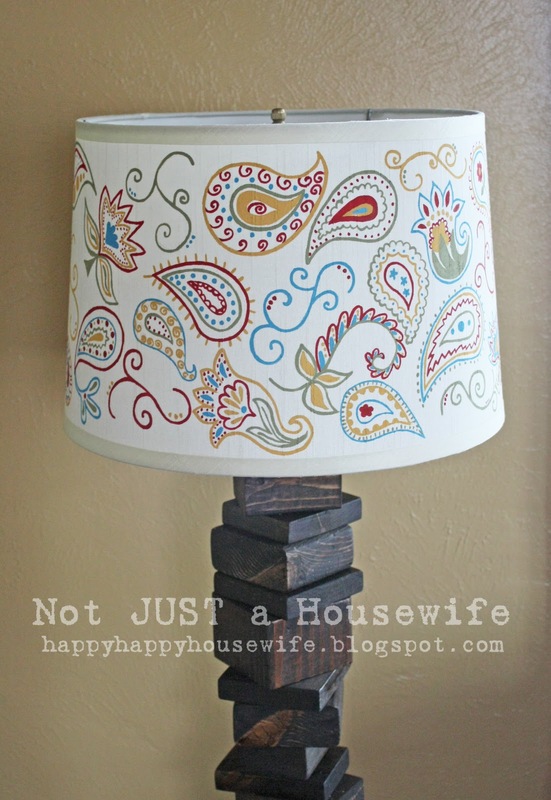 I needed more lighting in my front room but my hubby was unemployed at the time and I had zero budget for one. 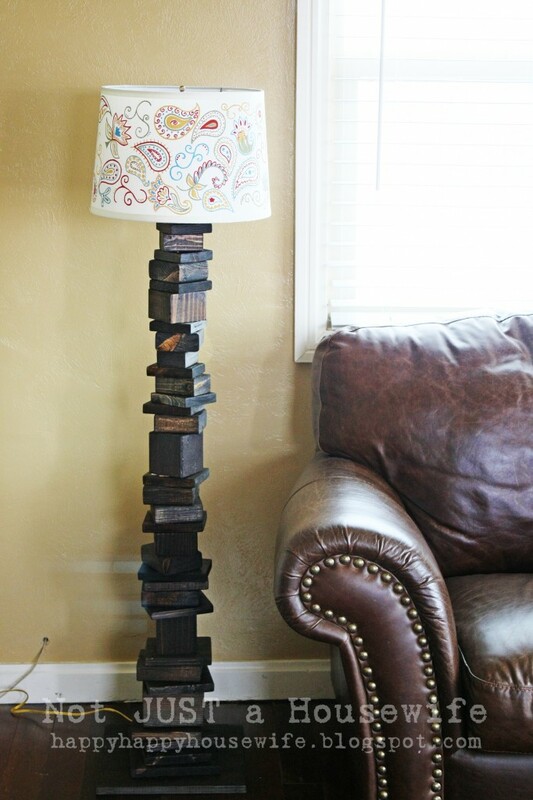 So I made this floor lamp out of scrap wood left over from other projects. Then I hand painted one of my own design on a lamp shade I had. I did have to buy a $10.00 lamp kit but I think it was worth the splurge! See the complete tutorial HERE. 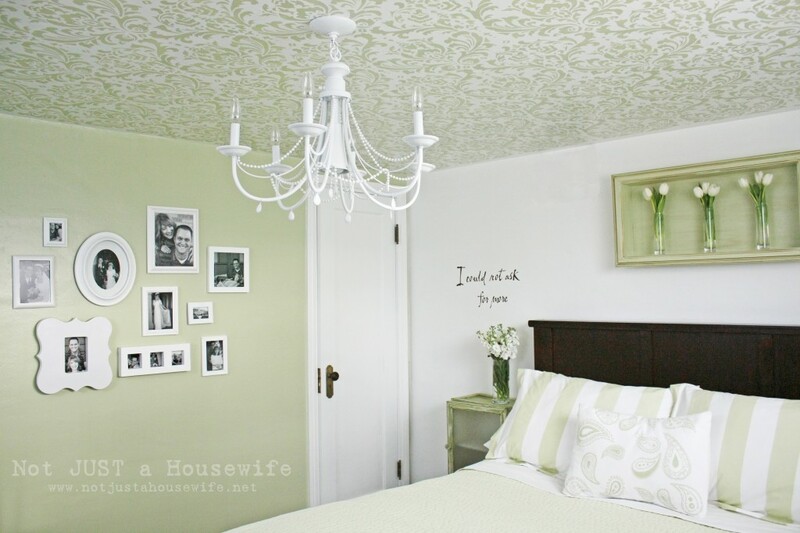 I also recently stenciled my entire bedroom ceiling. It took 4 days because I had 49 million interruptions, but it was worth it. I love waking up to a pretty ceiling! You can see more picture and how I did it HERE. There is also a tutorial on how I made the Chandelier HERE. My bedroom will be featured in a summer issue of Better Homes and Gardens! 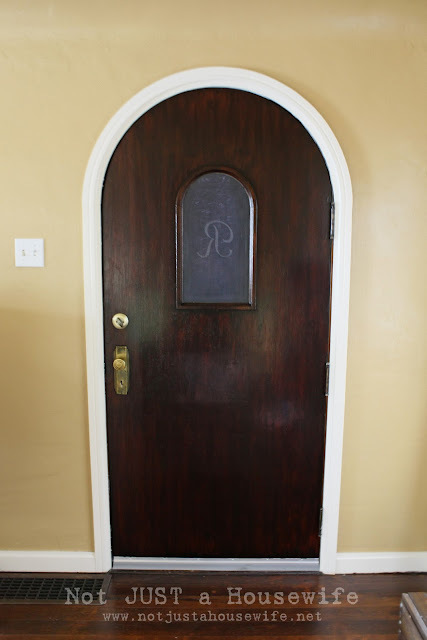 I recently refinished my front door. It use to be orange. I didn't have to sand it or anything. Want to know how? Go check it out HERE. 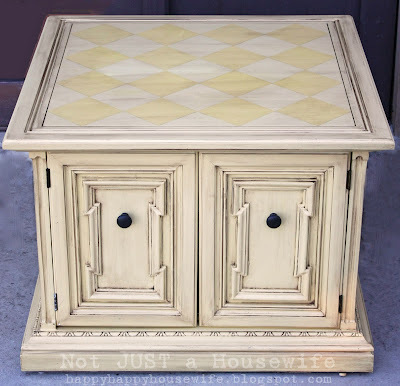 I painted an old brown table a fun yellow and then glazed it for an antiqued look. I have a tutorial that you can see HERE.